Shortly after moving to Doylestown four years ago with his wife and younger daughter, Steve experienced severe chest pain. He attributed it to the stress of the move and the less than ideal eating he had done lately. Nonetheless, his wife took him straight to the Emergency Department at Doylestown Hospital. “Thank God she got me there, because it was the dumbest thing you could possibly do, not going in an ambulance when you’re having a heart attack,” says Steve. The next four days were a blur but Steve noted that, “everyone here cared about me, cared about my wife, cared about my daughter. 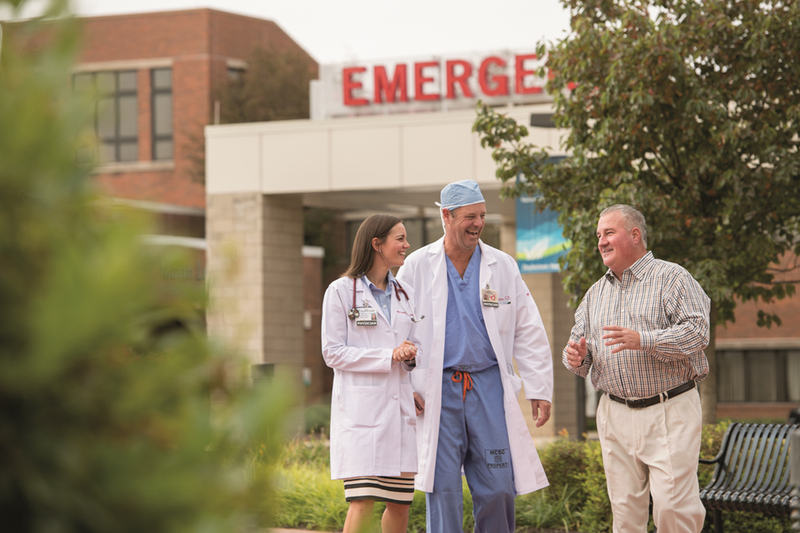 I’ve never experienced that at a hospital, ever.” As he recovered, Steve developed a rapport with Steven Guidera, MD, Interventional Cardiologist and Director of the Cardiac Catheterization Lab. They share an affinity for golf and play together occasionally. Continuing Steve’s cardiac care is MaryAnn Williamson, MD. “She’s my cardiologist and an amazing one at that. I think she’s smart about everything and knows the right thing to do and I should do a better job doing it,” Steve says with chagrin.